We all experience pain from time to time, but chronic pain could be an indicator of a greater underlying issue. 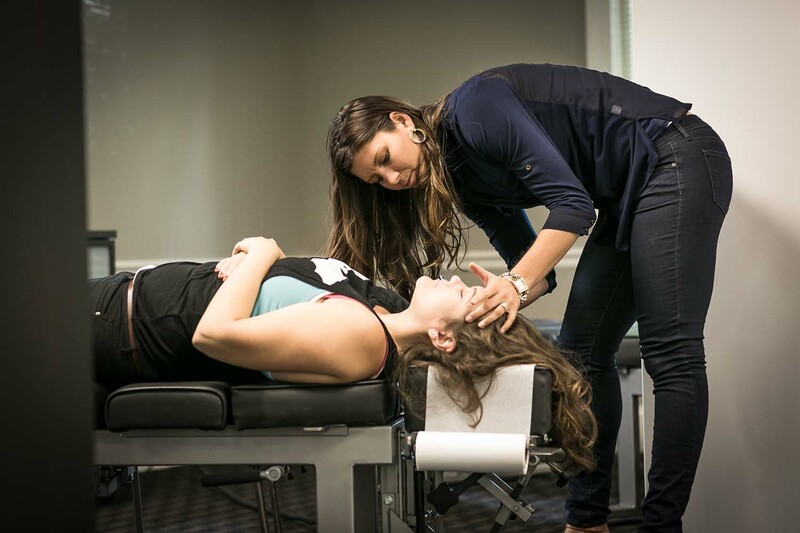 If you’ve been dealing with neck pain that won’t seem to go away no matter what you do, then a visit to a Charlotte chiropractor might be in order. Perhaps you’re wondering why you should see a chiropractor rather than seeing a “regular” doctor or MD. The main difference between chiropractic care and care from an MD is that a chiropractor will work to address the problem at its root using holistic methods, whereas a medical doctor will be more likely to prescribe medication or even suggest invasive surgery, without trying to figure out the underlying root cause of the issue and attack it there. If you don’t like the sound of invasive surgery or drugs, then read on to learn more about some of the top surprising causes of neck pain and how a chiropractor in Charlotte NC might be able to help you correct the problem naturally! #1. Stress. If you are holding tension in your shoulders, it can lead to muscle aches that get worse over time. This is the most obvious cause of neck pain, but another cause may be related to your body’s immune system response to other triggers. It’s no secret that stress negatively affects your immune system. If your neck pain is related to some sort of illness, that means increased stress will result in increased inflammation, and consequently, increased pain. #2. Posture. Do you spend a lot of time looking at your phone or computer, while hunched over? Poor posture is a huge contributor to neck and back pain. If you’ve never heard of “text-neck syndrome” before, read this post. #3. Diet. You’re probably wondering what your diet has to do with pain you feel in your muscles and joints. The key word here is: “inflammation.” Did you know that excess sugar causes inflammation? And it’s in virtually everything we consume, including grains, pastas, rice, alcohol, root vegetables, and other foods that metabolize as sugar. It could be that you have inflammation around your neck due to poor dietary choices. #4. Poor Exercise Technique. When it comes to fitness, technique is everything! Lift something the wrong way when your’e hitting it hard at the gym, and you could pull a muscle or cause a shift in your vertebrae that could lead to chronic pain down the road. And if you do nothing about it, it could get worse and become harder to treat over time. A lot of the reason for poor technique is pure ignorance. It’s best to work with a fitness expert or personal trainer who can coach you on the proper ways to work out so that you don’t end up hurting something. #5. Chewing Gum. This may sound especially surprising, but it makes sense. Chewing gum puts pressure on your jaw at the place where it meets your skull, which is ultimately connected to your head and neck, thus causing headaches and neck pain. Plus, many gums contain artificial sugars that are not good for you, anyway. This is definitely something to consider if your’e experiencing chronic head or neck pain. Your spine is the “control center” for the body and tells your organs how to function by sending nerve signals out from your spinal cord. When your vertebrae are misaligned, it puts pressure on the nerve endings, ultimately weakening the signals that go out. This results in your body’s systems functioning at a weakened capacity. Over time, if left alone, your organs will deteriorate and will eventually stop functioning altogether. Chiropractic adjustments, combined with the other 4 Essentials of Maximized Living, will help to keep your spine properly aligned and your organs functioning optimally. If you’re dealing with chronic neck pain and would like to learn more about how our South Charlotte chiropractic team can help, give us a call at (980) 422-2000, or fill out the form on this page to request a FREE 15-minute phone consultation. Very few things will affect your golf game like the condition of your back. 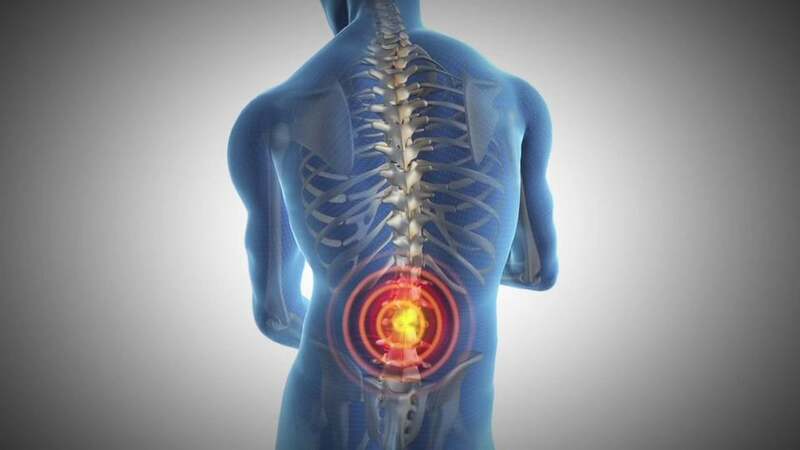 The back is a complex structure and one little misalignment or kink can render you immobile. So, it is no wonder that when your back is off, your golf game is off as well. The alignment of your spine is very important in determining the shape of your back. One might even say that the spine is the literal backbone of your health. The game of golf is known to be a natural stress reliever… at least when you are playing the game well. To start out playing well it greatly helps to already be in a relaxed state. Stress can cause stiffness and playing golf well has no room for stiffness. You will always play better when you have a nice, relaxed swing. A regular chiropractic adjustment can help reduce muscle stiffness and helps put your body into a relaxed state. Chiropractic care in Charlotte NC will ensure that you approach the tee box as loose as a goose. Being relaxed as you approach your ball will give you a nice, easy swing and ensure you have more walks to the green with your putter in hand. Chiropractic adjustments also help to realign your hips, which is sure to improve your stance on the green. A proper stance means a better swing, and a better swing can dramatically improve your score. Unbalanced hips, on the other hand, can throw off the direction of the balls you hit, and we all know that even if that happens to a small degree, it can greatly affect the overall outcome. If you look in a mirror and notice that one shoulder is higher than the other, that could be a sign that your hips are not properly aligned. If your golf game has been a little off lately, that could be why. Chiropractic focuses on the care of your nervous system, which affects every other organ and system in your body. When your back is not properly aligned, you may experience pressure on the nerves that send signals out to your body’s organs, telling them how to function. Increased pressure means a weaker signal, which means your body will not be operating at full capacity. This includes the organs that affect your coordination, such as your eyes and hands – both of which are vital to your golf game. 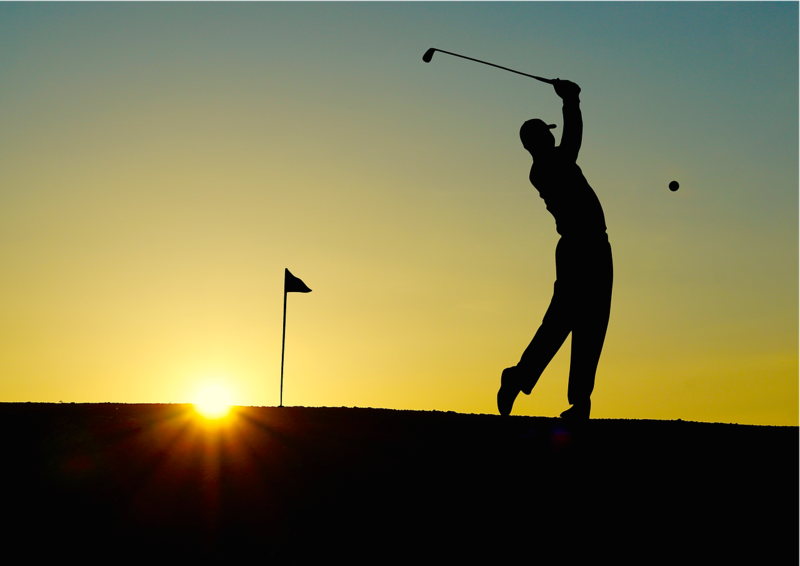 If you’re a golfer and want to improve your game, make an appointment at Queen City Health Center today by calling (980) 422-2000. Or click here to request a free 15-minute phone consultation with one of our Charlotte chiropractors! Are you a runner living in Charlotte NC? Looking for ways to reduce your mile time, increase your speed, improve your endurance, and build strength? Besides practicing your actual craft (running), you may also want to consider regular chiropractic care as part of your overall fitness regimen. Here are 5 ways a chiropractor can help you become a better and faster runner. You definitely don’t want to be stiff when you run, which makes flexibility a top priority for most athletes. Chiropractic care improves flexibility by putting your spine into proper alignment and working out any knots in your muscles and ligaments. Increased flexibility means a longer stride and a shorter mile-time overall. In the words of Shakira, “hips don’t lie.” I see a lot of patients each month whose hips are off balance, causing one side of their body to carry more weight than the other. Being out of balance in this way means your strides will be shorter, causing you to run slower. Similar to how balancing your car’s tires can increase their tread time, a Charlotte chiropractor can improve your run time by adjusting your hips to ensure your body is properly balanced. Running puts a lot of strain on your joints and stress on your body, especially your lower back, hips and legs. Seeing a chiropractor is an imperative part of your monthly “maintenance” routine, especially if you plan on being a professional runner, as it can help to alleviate some of that strain and reduce the stress on your muscles and bones. Our Charlotte chiropractors have adjusted professional athletes of all kinds and are well versed in chiropractic care for runners. The impact of each stride can cause your spine to go out of alignment quickly. Over time, as your muscles and joints wear, it can lead to poor performance. As a regular runner, you want to make sure you’re recovering from each run quickly so that you resume activity as soon as possible. You don’t want to be stuck in bed or on the couch for days following a marathon or 5k. A visit to the chiropractor can help ensure your spine remains in proper alignment and keeps your body’s organs functioning well. Just like balance, good coordination is a must if running is your art form. Seeing a chiropractor improves coordination by keeping your nervous system in check. The spine is the central hub of your nervous system, and as long as it’s in good working order, so will your entire body be. Wondering if chiropractic care can help your athletic performance as a runner in Charlotte NC? Give us a call at (980) 422-2000, or fill out the form on this page to request a FREE 15-minute phone consultation with the doc! The neck is extremely flexible. Made up of only 7 vertebrae, this amazing part of your body is strong enough to hold up your head, which, as we all know from the kid in Jerry Maguire, weighs 8 lbs. on average. Those magical 7 vertebrae not only keep your head up; they also extend it frontwards, backwards, or side to side in either direction. Perhaps you’ve been a victim of whiplash in the past or even recently. At Queen City Health Center, we treat numerous Charlotte car accident victims each month, and we understand that curing whiplash take time. But the good news is, it is curable with the right exercises, regular chiropractic adjustments, and even modifications to your diet and lifestyle. Here are some of our top recommendations for treating and curing whiplash following an auto accident in Charlotte NC. Tip #1: See a chiropractor! Seems like a no-brainer, right? 😉 Perhaps you’re not sure if or how a chiropractor can help you. Or maybe you’ve heard that chiropractic is not a “legitimate” form of medical care. But chiropractors can help in a number of ways when it comes to curing whiplash. When you visit Queen City Health Center, our Charlotte chiropractors will start by taking a close look at your neck and spine via an X-ray. Once we see the extent of the damage done, we’ll address it through spinal manipulation. The goal is to get those 7 vertebrae back into proper alignment with the right degree of curvature to promote optimal healing, not just to your head and neck, but also to the rest of your body. We’ll also prescribe some at-home exercises and treatments that you can do to encourage relaxation, strengthen your neck muscles, and train your nervous system toward proper movement patterns and stability. Tip #2: Change your diet. You may be wondering, “what does food have to do with pain in my neck?” And to that, we say “everything!” As a matter of fact, we recently wrote another post on how to cure pain with dietary changes. Check it out here for more info. Essentially, certain foods (ahem, sugar…) increase inflammation. In order to promote fast healing, it is best to limit your intake of said foods. Tip #3: Rest. Make sure you’re getting plenty of sleep—at least 8 hours per night if possible. Your body needs sleep in order to heal itself. Also, be very cautious when it comes to exercising. This is not the time to put added strain on your neck or back by lifting heavy weights at the gym. Give your body time to heal and get permission from your chiropractor before resuming your normal fitness regimen. Tip #4: Stay hydrated. Just like sleep, your body needs plenty of water to promote fast recovery. Dehydration also carries a host of other symptoms with it, like joint pain, which can amplify the discomfort you’re already experiencing from whiplash. #1. You don’t always know what causes it. Sometimes, there can be a physical cause; other times, there is no known physical cause, which usually means your body is generating an inflammatory response to some other unknown or non-physical stimuli. This makes it seemingly hard to cure. Still, many people suffer from chronic pain these days, either as a response to injury, or as the product of another condition such as an autoimmune disease. Like the Skittles slogan says, “Taste the rainbow.” But we say don’t just taste it; consume it. Consume it every day of your life at every meal. Fresh fruits and vegetables are your friend. Skittles however, are not. So don’t eat those. Avoid them like the plague. #2: Lay off the grains, sugar, and dairy. Grains increase inflammation. If you can avoid sugar altogether for 30 days (and this includes all grains, breads, rice and pastas), your body will detoxify and essentially “reset” itself. We’re pretty confident you’ll notice a big difference in how you feel once you drastically reduce how much of these foods you consume. We also recommend limiting dairy, but if you must drink milk, only buy the organic stuff from grass-fed cows. Goats milk, almond milk, and coconut milk are also great alternatives. Some doctors recommend treating red meat like you treat turkey and only eating it on special occasions like Christmas or Thanksgiving. Replace red meats with lots of fresh fruits and veggies, or, in the words of the Chick Fil A cows, “Eat More Chicken!” Chicken has no effect on the inflammatory response, so it can’t hurt anything. Really, you should consume more wild-caught fish if you want to reduce inflammation. But when you do eat the occasional burger, make sure it’s organic and grass-fed. The above diet, combined with plenty of regular exercise, sleep, and stress-management, along with weekly chiropractic adjustments, should have you well on your way to living a pain-free lifestyle in no time! To request a FREE consultation with Dr. Holly, click here. Either way, we’re all about providing value to help people achieve better health overall. Read on for some expert tips on how to cure back pain from Charlotte chiropractor and leader of Queen City Health Center, Dr. Holly Clemens. Tip #1: Change your diet. You may be wondering what your diet has to do with back pain. How in the world can the foods you put into your stomach affect how your back feels? Believe it or not, most health issues start in the gut. The foods you eat can contribute to inflammation in the body, which often manifests as pain or chronic illness. Sugar is the #1 culprit when ti comes to inflammation, and reducing or even eliminating it from your diet, and detoxifying your body’s internal organs—even for just 30 days—and reduce or eliminate the problem. Tip #2: Exercise. Focus on core exercises that will help to build strength in your back and improve your posture. But take it slow and be careful! You don’t want to pull a muscle and experience even more pain the process. Tip #3: Sit up straight. More and more people in our society are suffering from text-neck syndrome. As a Charlotte chiropractor, I see it all the time in patients who come into my office. If your back and neck are hurting, it could be from poor posture related to the use of smartphones and computers every day. If you sit at a desk for long periods during the week, read this post to learn how to sit the right way so you don’t injure yourself. Tip #4: Get adjusted! We mentioned this already, but it’s worth repeating. Our Charlotte chiropractors can help you pinpoint the problem that’s causing your back pain and put together a targeted care plan to eliminate it through regular spinal manipulation and other lifestyle changes. Our holistic approach to chiropractic care is highly effective at treating a variety of conditions and helping you get off medications, feel better, and achieve an overall better quality of life. Not convinced yet? That’s okay! (Baby steps, right?) Click here to request a free 15-minute phone consultation with Dr. Holly and find out if a Charlotte chiropractor is a good solution to your back pain. January: Because you actually want to keep your New Year’s Resolution. This is something most people will fail to do. They’ll sign up for a gym membership and start going, and within 2 weeks, they’ll stop. Sound familiar? We’ve all been there. You may be wondering how a chiropractor can help you stay on track! That’s a great question. And our answer is that not all chiropractors will hold you accountable for your health decisions, but Dr. Holly is the exception. In fact, our patients are currently participating in a 21-day cleanse that is sure to help them reach their weight loss goals before January even comes to an end. Don’t believe us? Request a free 15-minute phone consultation with Dr. Holly, and we’ll explain exactly how we’re helping people all over Charlotte achieve better health this year. February: Because you want to look and feel great for your Valentine’s Day date! At Queen City Health Center, we don’t just crack your back. We offer holistic health services that will get you on track to feeling and looking your best. Whether you want to lose weight, have more energy, improve your skin, or come off your medications, our chiropractic expertise is worth its weight in gold. March: Because you want to be able to celebrate St. Patty’s Day with no guilt. We’d be lying if we said we didn’t enjoy throwing back a pint or two in celebration of St. Patrick’s Day. Especially if it’s green! We’ll help you prevent a hangover, but if you happen to drink a little too much, stop by for an adjustment, and we’ll make your headache go away faster than the magic leprechaun can. April: To “spring clean” your body. You’re already spring cleaning your house. Why not detox your body in the process? Our Charlotte chiropractors will show you how to get the most out of the rainiest month of the year so you can actually stop and smell the flowers come May. May: For mom. Mothers know best, and May happens to be her month. Give her the gift of better health. Schedule a consultation for the two of you at Queen City Health Center and watch your lives transform as you hold each other accountable through the journey. June: For dad. Don’t leave him out of the mix. See the reason above and apply it to daddy too. July: Because, ‘merica. We’ll adjust your spine and teach you how to make healthy treats for your July 4th celebration. August: For the kids. They’re about to go back to school … it’s a great time to get their immune systems rockin and rolling before they get exposed to all those yucky germs. Yep. Seeing a Charlotte chiropractor is actually great for your immune system! In fact, many of our patients have chosen to replace their primary care physicians with Dr. Holly. September: To prevent fall allergies. This applies to the spring season too, but fall allergies are something most people tend to overlook, perhaps because they don’t seem to be as common as they are when the pollen is plentiful. But they can be a big issue for a lot of people as the weather cools down. Did you know that chiropractic care is great for allergies? Book an appointment, and see for yourself! October: To replace your flu shot. This is about the time when flu season ramps up, and doctors start pushing that awful vaccine. Rather than shooting yourself up with formaldehyde, mercury, aluminum, and other toxins, get your immune system in tip-top shape with some healthy lifestyle changes and regular adjustments. You’ll be amazed at how much better you feel when all those people who got the flu shot are complaining yet again about how it didn’t work. November: To add another item to your “thankful” list. At Queen City Health Center, we are very thankful for our health, and we know, beyond a shadow of a doubt, that chiropractic care played a large role in that. Come see us, and when you’re sitting at Thanksgiving Dinner and everyone is reciting what they’re thankful for, you can add your health to the list. December: Because you don’t want to end up like Santa! Yes, he’s a jolly, cheerful, old man, but let’s face it. The guy could stand to lose a few pounds, and the milk and cookies likely aren’t helping … If you want to learn how to change your life and still enjoy milk and cookies (healthier versions, of course), make an appointment to see our Charlotte chiropractors. We’ve said this before, but it bears repeating: not all chiropractors are created equal. At Queen City Health Center, we pride ourselves on being personal. We don’t just get you in and out for a few routine adjustments. Our health care plans are patient-centered. We genuinely care about each and every person that we see at our office, and we want to help you look and feel your absolute best. Our services are tailored to each patient and include a comprehensive mix of spinal adjustments, nutritional counseling, wellness and fitness education, detoxification, and one-on-one accountability. Interested in learning more? Click here to request a FREE 15-minute phone consultation with Dr. Holly, or call us at (980) 422-2000 to schedule an in-person visit to our clinic. It is estimated that only about five percent of Americans get the recommended amount of fiber in their diets from the foods they eat each day. Despite our attempts to ingest more fiber by eating grains, cereals, and other processed foods that claim to be high in fiber, many of us are still fiber deficient. Not to mention, the added ingredients in these foods are generally not very healthy for us, putting even more burden on our body’s digestive system. 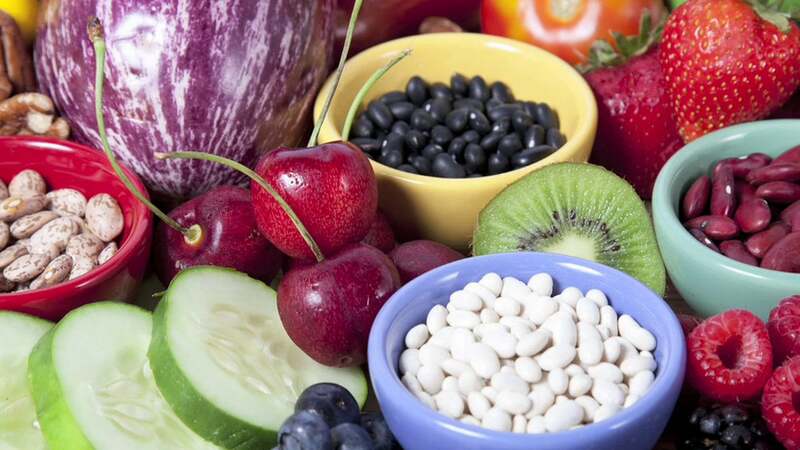 Fiber helps to build and support a healthy digestive tract. In doing so, it also aids in the prevention of cancer, kidney stones, diverticulitis, heart disease, obesity, PMS and more. Since health starts in the gut, it makes sense that supporting your gut with plenty of natural fiber would help to prevent the diseases that occur as a result of poor gut health. But you should avoid the processed kind. The best way to get more fiber in your diet is by eating foods that are naturally rich in fiber. Below is a list of 10 fiber-rich foods that you may not have known about. Berries. Besides being an easy addition to your morning smoothie, berries (particularly blackberries and raspberries) are an easy way to boost your fiber intake. Avocados. In addition to fiber, avocados contain plenty of healthy fats to support heart health, boost your energy, and help you burn fat and lose weight. Coconut. With at least four times the amount of fiber contained in oat bran, coconut—both the flour and grated varieties—is a healthy addition to your diet that’s also packed with plenty of brain-boosting omega fatty acids. Figs. This wonderful fruit can be enjoyed on top of salads or cereals, or even eaten plain as a healthy dessert. Figs have the perfect balance of soluble and insoluble fiber and are known for lowering blood pressure and preventing macular degeneration. Okra. We just had to include this southern veggie. Just like Bubba Gump shrimp, there are so many ways to enjoy this fine food. Fried, baked, roasted, or added to soups and stews, it’s packed with fiber and rich in calcium as well. Brussels Sprouts. As a child, the thought of this strange-sounding vegetable no doubt repulsed you. As an adult, though, you’ve probably grown to love it, and if you haven’t, it’s because you’ve never had it cooked the right way. Cut brussels sprouts in half, drizzle with olive oil, sprinkle with salt, and roast or sauté in garlic for 20-25 minutes until the edges are browned. It’s not only delicious; it’s packed with anti-inflammatory properties, antioxidants, and—you guessed it—fiber aplenty! Chickpeas. Roasted with rosemary and sea salt or ground into hummus paste, this exotic bean is rich in manganese and other essential nutrients. The perfect snack or side dish—it’s a staple. Flax seeds. Ground flax is a great substitute for flour in your favorite gluten-free recipes, including muffins and even hamburger buns. You can also mix it with water for a gelatinous substance that works great in place of eggs in brownies, cakes and other yummy baked sweets. Flax seeds are known to reduce menopausal symptoms and cholesterol. This tiny seed is power-packed with fiber and other nutrients. Chia seeds. Again, tons of nutrients in a tiny seed. Nature is amazing, isn’t it? Chia seeds are a great addition to your morning smoothie or yogurt bowl. In addition to supporting your digestive health and increasing energy, this essential superfood is a must for any health diet. Nuts. Especially almonds and walnuts. A quick way to boost your fiber, almonds are high in protein and potassium, while walnuts are known to improve mood and memory. No matter which one you choose, you really can’t go wrong. We recommend both. After all, variety is the spice of life! What are some of your favorite fiber-boosting foods? Share them with us in the comments below. No one can argue the health benefits of eating more greens. When you were told as a kid to “eat your vegetables,” there was a good reason for it! Leafy greens are among the healthiest foods on the planet. Full of nutrients and fiber, yet low in calories, they can be consumed in small amounts and still leave you feeling satiated. Or you can eat them by the pound if you wish—you won’t hear any objections from me! Tip #1: Drink a green smoothie for breakfast. Before you dismiss this as a terrible idea, there are some great ways to mask the taste of kale and spinach in your breakfast smoothie. Add a banana and a splash of your favorite fresh-squeezed fruit juice, and I guarantee you won’t even be able to taste the greens. Or try a scoop chocolate protein powder with banana and almond butter. You could even do a plant-based protein, as those usually already contain greens of some sort already. #2: Add spinach to your scrambled eggs or pancakes. You can blend the spinach into the pancake batter (again, you won’t even be able to taste it.) Or if you don’t mind the taste, scrambled eggs with spinach sautéed in is one of my favorite morning meals. #3: Eat green vegetables as a side with dinner. #4: Take a “green” supplement. Maximized Living Max Greens are chock full of green superfoods to boost your immune system and aid your body in natural detoxification. If you don’t like eating your greens, you can always drink them or take them in pill form instead! However, we do recommend trying to at least get in some real, leafy greens with at least one your meals every day. Supplements are great, but they should not be used as an excuse to skip out on your vegetables! #5: Eat a mixed greens salad for lunch. This, along with a good green supplement, is a great way to ensure you get enough greens into your diet. Of of my favorite recipes: raw, mixed greens topped with fresh strawberries, blueberries, crumbled goat cheese, avocado, and drizzled with olive oil and sea salt. YUM! What are some other ways you manage to sneak more green veggies into your diet? Share your tricks with us in the comments section below!